According to Statistics Estonia, in October 2018, the exports of goods increased by 17% and imports by 20% compared to October 2017. For the first time, exports exceeded 1.3 bln euros and imports 1.5 bln euros. The growth in trade was affected the most by an increase in trade in mineral products (solvent, fuel additives, motor spirit, shale oil). In October 2018, exports from Estonia amounted to 1.36 bln euros and imports to Estonia to 1.56 bln euros at current prices. The trade deficit was 199 mln euros, which is 62 mln euros more than in October 2017. In October 2018, the top destination countries of Estonia’s exports were Finland (16% of Estonia’s total exports of goods), the USA (11%) and Sweden (10%). Electrical equipment and base metals and articles of base metal were the main commodities exported to Finland; electrical equipment and mineral products were the main commodities exported to the USA; wood and articles of wood and miscellaneous manufactured articles were the main commodities exported to Sweden. The biggest increase occurred in exports to the USA (up by 110 mln euros), Denmark (up by 22 mln euros) and Latvia (up by 21 mln euros). In exports to the USA, the exports of data communication equipment increased the most. There was also an increase in the exports of shale oil to Denmark and of electricity to Latvia. The biggest decrease occurred in exports to Germany (down by 35 mln euros). In October, the biggest share in the exports of goods was held by electrical equipment and mineral products (both 17% of the total exports of goods), followed by wood and articles of wood (11%). The greatest increase was in the exports of mineral products (up by 140 mln euros), electrical equipment (up by 39 mln euros) and wood and articles of wood (up by 16 mln euros). The biggest decrease occurred in the exports of transport equipment (down by 24 mln euros) and agricultural products and food preparations (down by 16 mln euros). 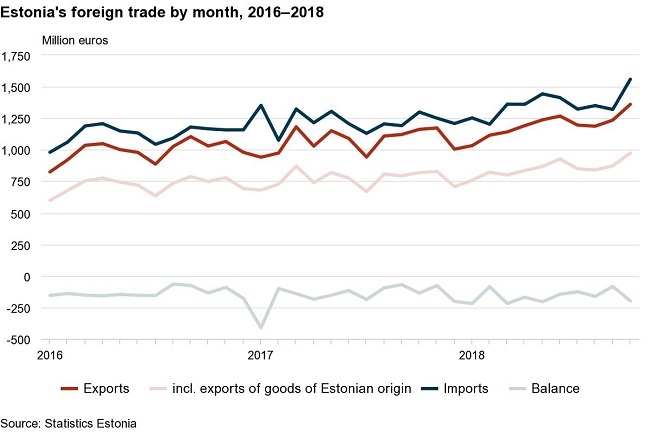 The share of goods of Estonian origin in total exports of goods was 72% in October 2018. The exports of goods of Estonian origin increased by 19% and re-exports by 12% compared to October 2017. In the exports of goods of Estonian origin, the greatest increase was in the exports of mineral products (solvent, shale oil), electrical equipment (data communication equipment), and wood and articles of wood (wood pellets, birch pulpwood). The share of goods of Estonian origin accounted for 59% of the exports of mineral products. The main countries of consignment in October 2018 were Finland (12% of Estonia’s total imports of goods), Lithuania (11%), Germany and Russia (10% each). From Finland, mineral products and electrical equipment were imported the most. Mineral products and raw materials and products of chemical industry were imported the most from Lithuania and Russia, and electrical equipment and transport equipment from Germany. 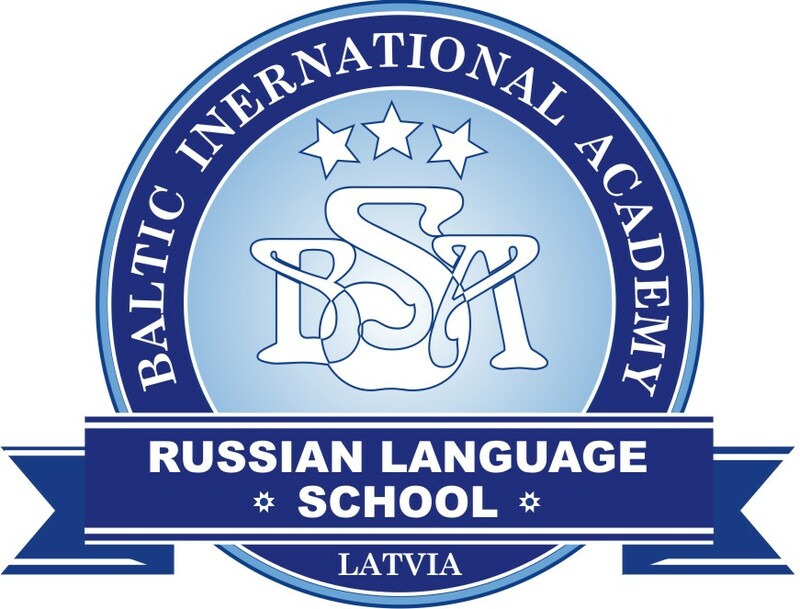 The biggest increase occurred in imports from Russia (up by 71 mln euros), Lithuania (up by 44 mln euros) and Finland (up by 30 mln euros). From Russia, Lithuania and Finland, the imports of mineral products (fuel additives, motor spirit) increased most. 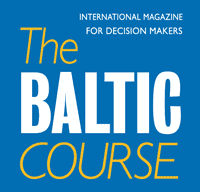 The main commodities imported to Estonia were mineral products (18% of Estonia’s total imports of goods), electrical equipment (14%) and mechanical appliances, transport equipment, agricultural products and food preparations, and base metals and articles of base metal (each 9%). The greatest increase was in the imports of mineral products (up by 153 mln euros), electrical equipment and mechanical appliances (up by 21 mln euros). In October 2018, the foreign trade export volume index increased by 3% and the import volume index by 2% compared to October 2017.